Bidvest Wits get an encouraging nod despite PSL challenges. 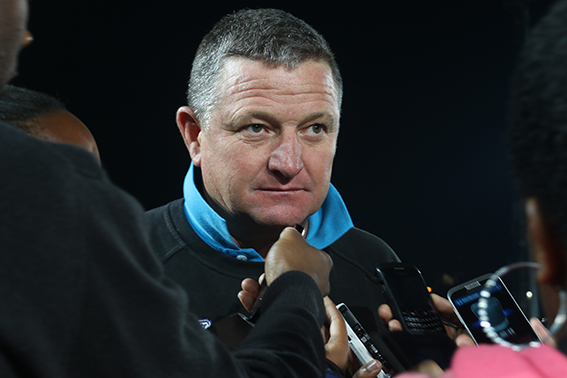 Bidest Wits coach Gavin Hunt is the PSL’s coach of the month for February. Photo: Wits Vuvuzela. Bidvest Wits coach Gavin Hunt and striker Lehlonolo Majoro were named the Absa Premiership coach and player of the month for February earlier this week. A statement from the Premier Soccer League (PSL) said Hunt, 53, was given the accolade based on his team’s improvement in the league during February, which saw them move up five positions to 10th. “In that period, Hunt managed to make positive changes to his squad and got his team to move away from the bottom of the log,” read the statement. Speaking to Wits Vuvuzela, Hunt said, “You just focus on the game, whatever happens happens.” Hunt led the team through tough victories in February as The Clever Boys won 2-1 against Golden Arrows, 2-1 against Cape Town City and drew 1-1 against Kaizer Chiefs who are currently 5th in the league. Clever Boys’ striker Majoro scored four out of the five goals over three games that contributed to the team’s movement on the log. “He brought hope to a struggling Wits side and is a constant problem for defenders,” said the PSL on Majoro’s accomplishment. Wits Vuvuzela, Clever Boys CAF luck runs out, March 18, 2018. Wits Vuvuzela, Clever Boys become Bafana Bafana, March 16, 2018.